The Viva multi-compartment bin is a great addition to any kitchen or workspace, the dual storage systems comprise of a 20L and 16L inner pail housed inside a slim-fit design. 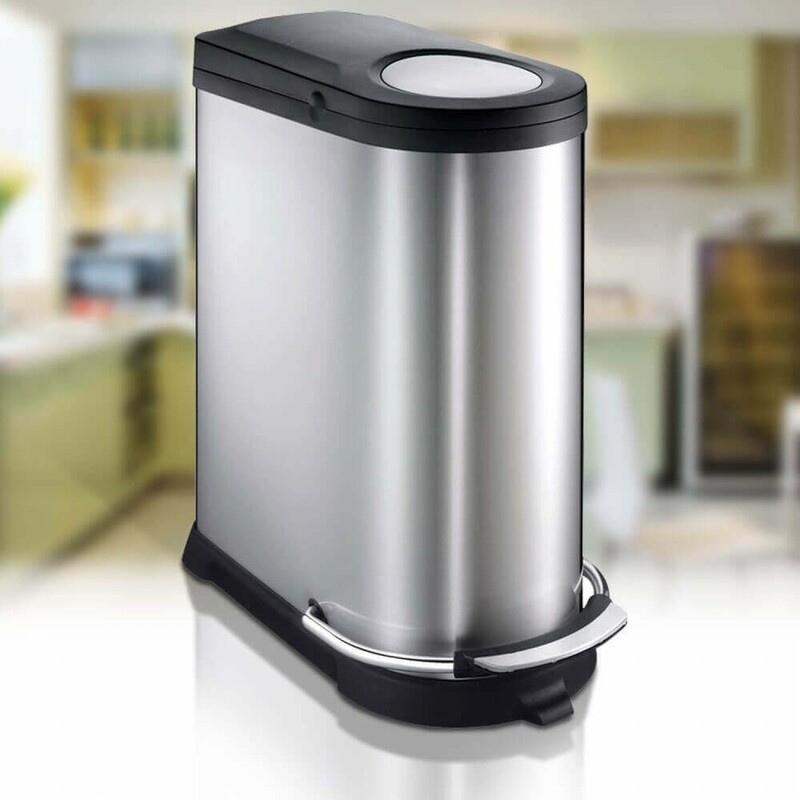 Perfect bin for waste disposal, the Viva has a dual touch open or pedal activated lid. The Viva Recycling bin contains two compartments (internal pails) for kitchen recycling. One compartment has a 20 litre capacity and the other, 16 litres. The Vivas' sleek slim body saves space and the hybrid touch top of pedal operated lid add an extra convenience.